Thank you Everywhere Agency for sponsoring this post on behalf of FAGE; all thoughts and opinions are always my own. 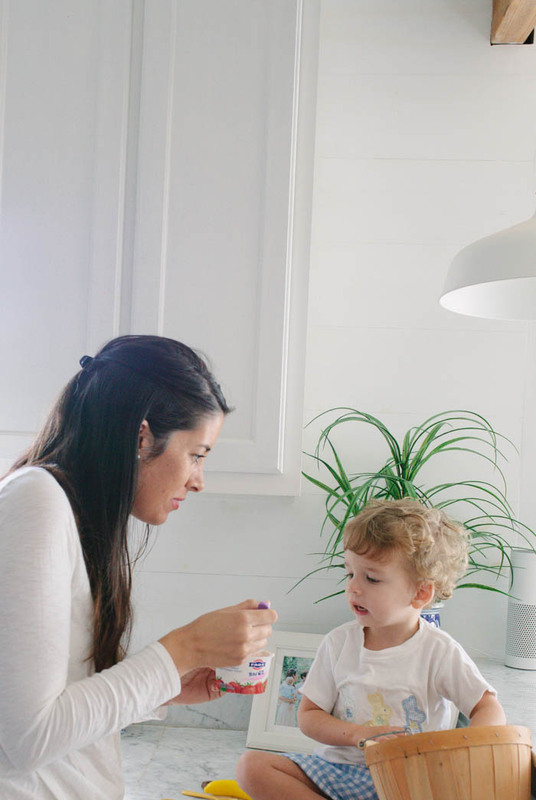 I’ve had requests come in recently asking what my morning routine looks like, and honestly, I was puzzled because I felt like I was the last person who had it together when it comes to a morning routine, especially on school days. It kind of gave me that feeling though that there is always room for improvement and since this was asked last year, I made it one of my goals for 2018 to get better at. 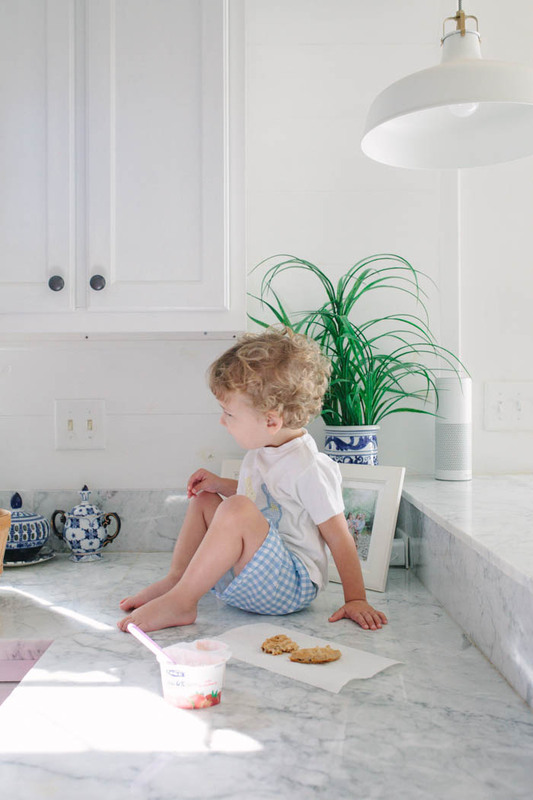 I hear so many moms tell me that their week day mornings are so busy and hectic, but the only thing that makes it easier on them is to get up early, have time for themselves, and stick to a routine. I am not going to lie… my kids sleep in till 7:30/8 most days and I typically sleep til they wake me up, but that has actually proven to be more difficult most days. Scarlett will be starting big school this year so I wanted to make it my new goal to get my day going before my kids so that things feel less chaotic when trying to get out the door and make it on time for car pool. My husband is out the door before any of us even wake up and every week day morning (and sometimes weekends) I do the mornings 100% on my own. I look forward to the day when I can wake up with my husband and we share a cup of coffee together, but that is just not our life right now and hasn’t really ever been. Sometimes he’s out the door before 6am depending on his rotation. My surgery kind of put a kink in my routine, but I’ve been easing back into it this past week and figured I’d go ahead and share what our morning looks like, how I prepare to make it less chaotic, and what works for us! I would love to hear from you in the comments on how you manage school mornings! Before the kids wake up, I try to set my alarm for 45 minutes before they typically wake up, so like 6:45. Depending on how late I stayed up the night before working or watching a show, I might hit that snooze button. As soon as I’m up I get myself ready by washing my face, brush teeth, get dressed, and moisturize. 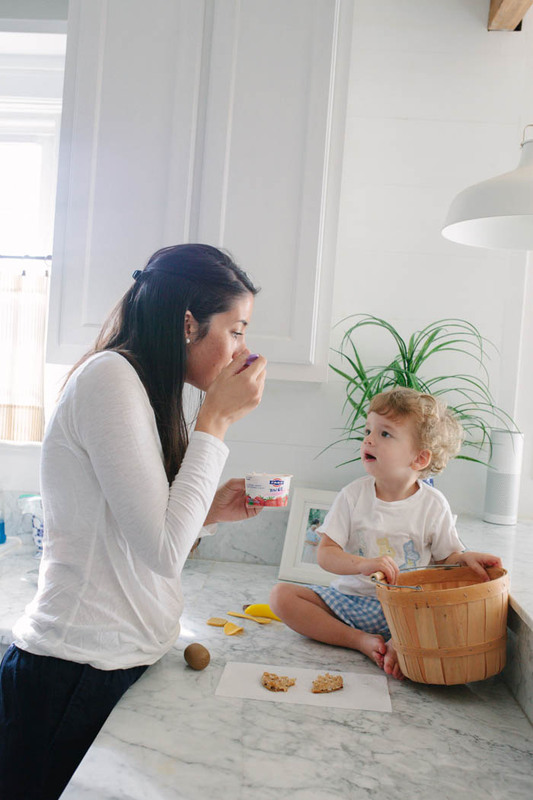 Typically, I leave make up and hair for later in the morning while the kids are eating breakfast or while I’m in carpool ;P Scarlett usually meets me in our room and we head to the kitchen and I get her started first. Ps, I’m on the hunt for a morning devotional to skim over before I get out of bed, so let me know in the comments if you have a favorite! The first thing we do that makes everyone happy in my home is to start breakfast and get those hungry bellies fed. My kids wake up super hungry so I try to have a FAGE Total Fruit Split Cup yogurt ready to go for them to start enjoying while I get the rest of their breakfast ready. Typical breakfast pairings are breakfast sausage, eggs, waffles, a pop tart, or pancakes. 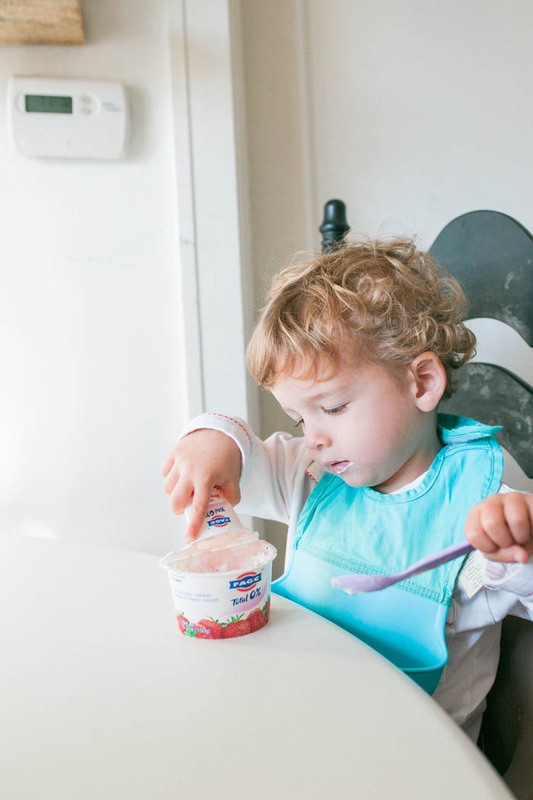 FAGE Total Split Cups yogurt are so delicious and my kids love it! It is protein richrich in protein, not in whichsugar, which makes me feel confident in what they are getting first thing in the morning. 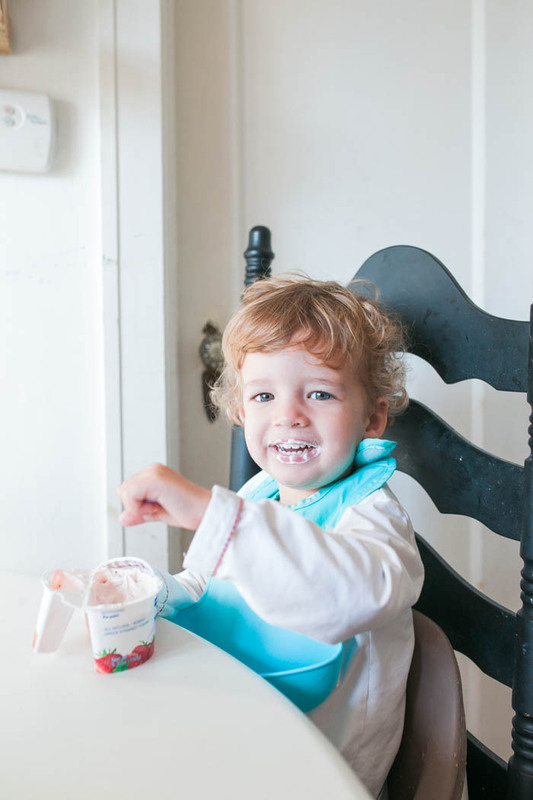 Sully will not eat fruit on his own, so sneaking it into the yogurt cup has been a game changer! He loves the whole milk split cup apricot flavor best, while I’m partial to the 2% mixed berry flavor! Sometimes they lose interest in the rest of their breakfast, so at least I know I am sending them off with a balanced and nutritious meal when I start it off with yogurt. One thing I learned over the years is to get them dressed after breakfast. There are times when we flip flop and they are dressed before breakfast, but I can tell you we’ve had to change clothes too many times to count that made that step worth waiting last for. Scarlett is a little better at staying clean so I’ll let her slide on this one, but Sully 9/10 is a mess after breakfast. TIP: Laying out clothes the night before is a goal of mine every night, especially for Scarlett. She gets up on her own and has the type of personality where she needs a task first thing. We pick out clothes the night before and she gets started on that on her own. Again, she’s a little more trustworthy to stay clean during breakfast time. After they’ve finished eating and are dressed they have some free time while I finish packing up lunch boxes, getting bags together, and if I can throw on some make up or tend to my hair, this is when I do it. TIP: My biggest advice is to pre make lunches the night before. My husband has taken over lunch making for the last month and he typically does it the night before or early in the morning before we even wake up which is SUPER helpful! Kids can watch a show on PBS Kids, play on our deck, or play in their rooms. A balancing act. I typically have 4 + bags in my hand, trying to hold Sully’s hand down the steps, and keeping an eye on my jet setter who is running to get “first place” in the seatbelt buckle contest! Once everyone is in the car and buckled I get my breakfast set up in the console so I can take bites and sips at red lights or in car pool. I’m a take it to go kind of girl. I usually can’t focus on myself again till we are in the car set to go. 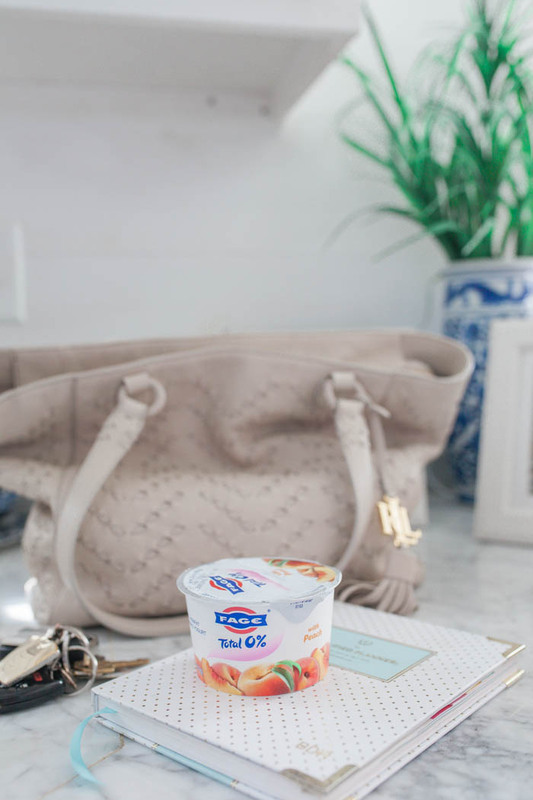 A FAGE Total 2% Split Cup yogurt is the easiest grab and go breakfast for me because it requires no effort. It’s a quick balanced bite for me to get through morning routine without risking getting the shakes since I’m prone to feeling low blood sugar. I also love how their container allows me to add the fruit myself. Drop off is done and I start my day! Which either means running errands or working from home :)) The split cups are available in three fat levels 0%, 2% and whole milk. I’ve been doing a devotional called Walking with God in the Season of Motherhood. It’s so good! that sounds right up my alley! thank you so much for sharing with me! Try Jesus Calling it’s my favorite and they have it on audio book too! I get a daily devotional sent to my email every morning Monday-Friday from Proverbs 31 Ministries. They’re great!